The 2018 Subaru Legacy near Denver Colorado is turning heads throughout the local area, and there are plenty of good reasons why it will delight you. At Flatirons Subaru near Denver Colorado, you can admire this redesigned sedan for yourself and can see that the 2018 Legacy news and reviews you have read online are entirely true. This is a vehicle that boasts impressive features from bumper to bumper that makes it a true pleasure to drive on a daily basis. At your local Subaru dealer serving Denver Fort Collins Boulder Colorado, you will be able to take this incredible vehicle for a test drive to experience its refinements for yourself. While your inspection of the interior of this sedan will tell you that the 2018 Legacy news that you have heard is correct, you will also see that the exterior is impressive and sleek. The exterior body style features attractive contouring as well as alloy wheels for added flair. 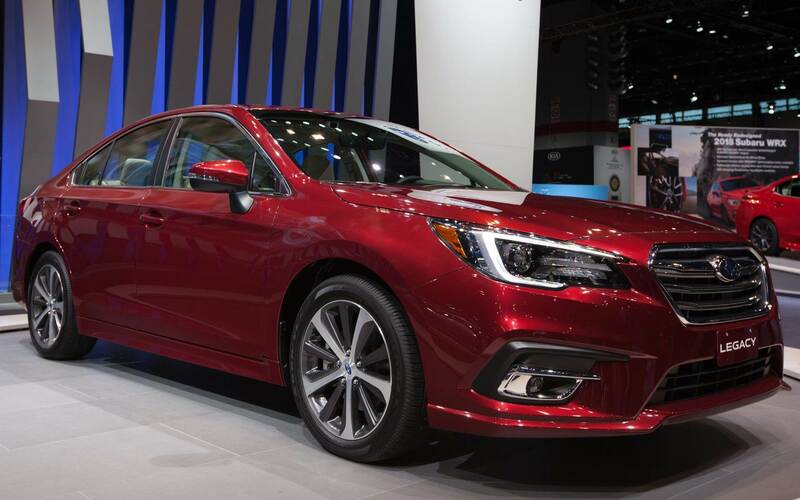 There are numerous color options to choose from with the 2018 Subaru Legacy near Denver Colorado, and some of the color choices are red, black, blue, white, silver and more. At your local dealership near Denver Colorado, you will also notice that the LED headlights have innovative responsive technology that adjusts the beam based on the direction of the steering wheel. This improves your driving experience at night and also keeps you and your loved ones safer on the road. When you visit Flatirons Subaru serving Denver Fort Collins Boulder Colorado, you can check out the Legacy's optional upgrades available that you can use to customize your driving experience. Your representative will take time to answer all of your questions so that you make a great buying decision. 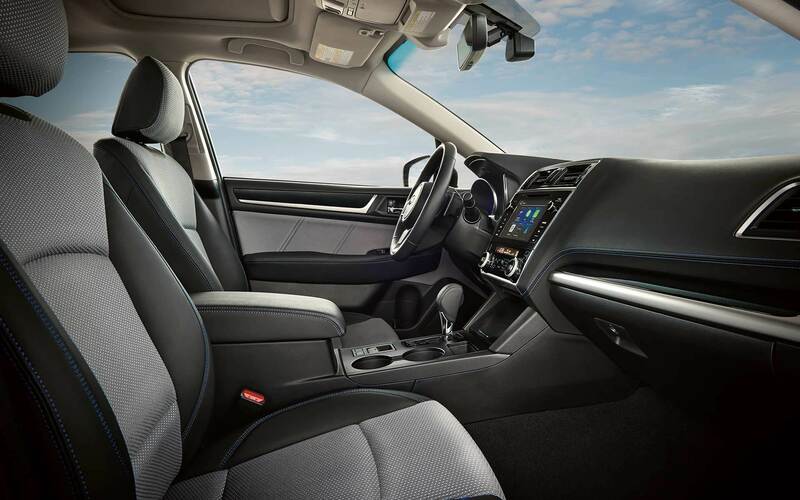 The interior of the 2018 Subaru Legacy has undeniable style and sophistication, but it also is entirely functional and practical. The Subaru Legacy is a vehicle that you will love driving in each day, and it has ample headroom and legroom for up to five adults to sit comfortably. The sedan features cup holders, storage spaces, power door locks and power windows, sun visors with illuminated mirrors and other convenience features. At your Subaru dealer serving Denver Fort Collins Boulder Colorado, you will also learn that the 2018 Subaru Legacy features comfortable leather seating with enhanced stitching on the doors for a sophisticated look. The console and dashboard have been redesigned and feature a multimedia touchscreen display for a powerful audio system and other features. The leather-wrapped steering wheel has audio and cruise control accessibility at your fingertips. 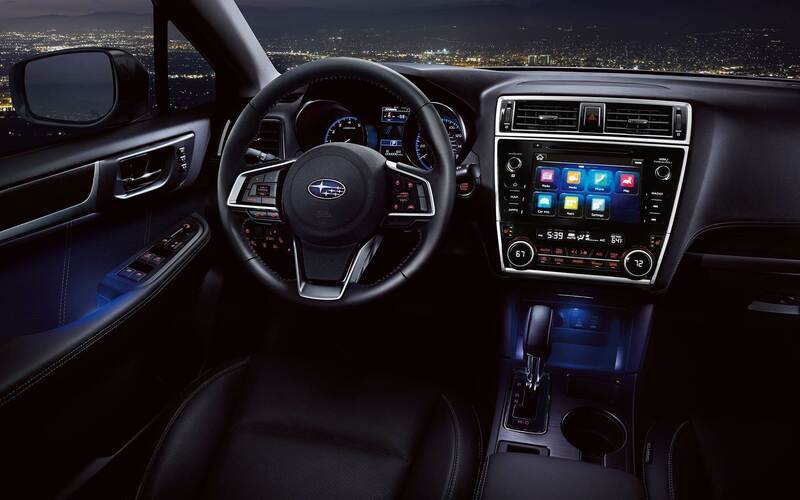 Inside the Subaru Legacy, you will also enjoy dual-zone climate controls, a StarLink security and safety system and a host of other incredible standard and optional features. 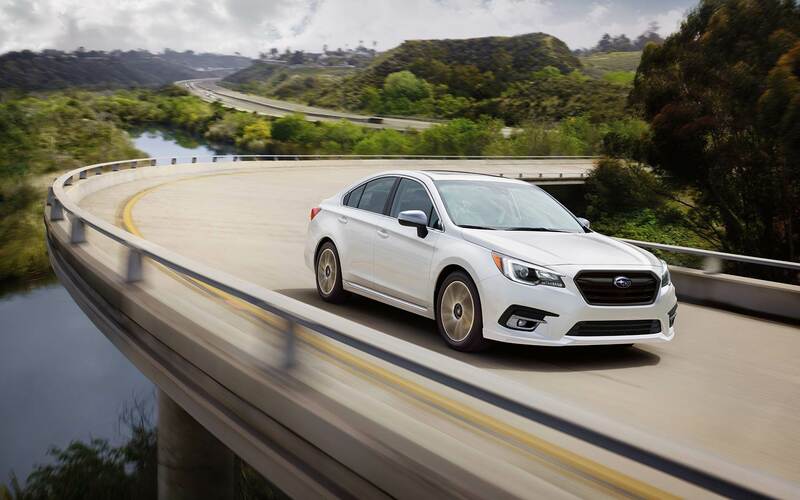 You understandably want to purchase a new sedan that is attractive as well as well-designed with durability and performance in mind, and you will not be disappointed with what the Subaru Legacy offers. At your local dealership near Denver Colorado, you can speak with a helpful car sales representative to learn about the mechanical features in the new Legacy. During this conversation, you will learn that the Legacy is designed with smooth, easy performance in mind. It has a retuned and fully independent suspension with all-wheel drive technology. Its transmission and body are designed to give you a quiet drive across all road surfaces. You may think that an attractive sedan like the 2018 Subaru Legacy near Denver Colorado is so well-designed from an aesthetic perspective that it must fall short in the area of power and performance, but this is not the case. Through 2018 Legacy news, you may discover that this sedan has a 2.5i sports engine with the Boxer technology that Subaru is known for. It has impressive horsepower and torque that varies based on the exact edition you purchase. With its agile and maneuverable handling, you will certainly be impressed with all that this sedan offers when you cruise down the road. The vehicle you choose to buy today can play a major role on the safety of you and your loved ones while on the road, and you may be scouring through 2018 Legacy news to determine if this is a vehicle that is loaded with safety features. The salesperson at your Subaru dealership near Denver Colorado will spend ample time explaining all of the incredible safety enhancements that you will benefit from in this car. The Subaru Legacy at Flatirons Subaru has common features, such as five-point safety harnesses for all passengers as well as numerous airbags throughout the cabin. It also has anti-lock brakes and excellent traction and stability features for a safe driving experience. In addition, the 2018 Subaru Legacy has responsive, intelligent safety features, such as dynamic headlights, automatic braking with reverse technology, individual tire pressure monitors and much more. 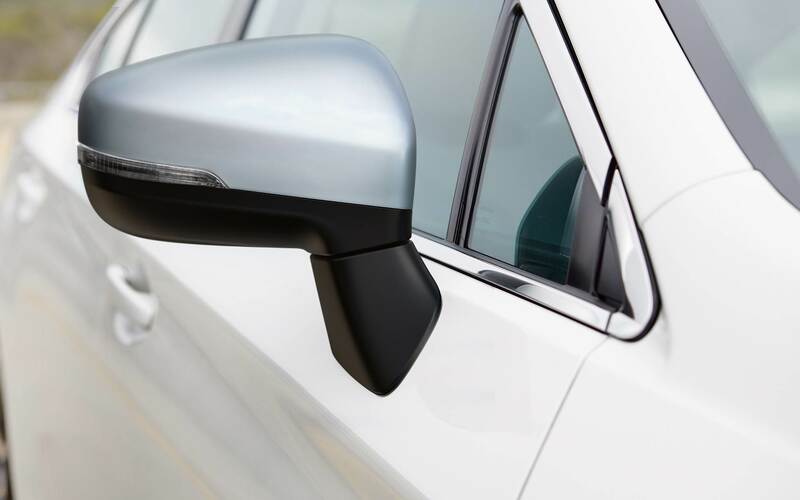 If you are interested in learning more about the incredible safety features in the 2018 Subaru Legacy near Denver Colorado, you can easily inquire about the details at your local dealership. While trying to find the right vehicle to purchase can be challenging, your visit to Flatirons Subaru serving Denver Fort Collins Boulder Colorado will resolve your dilemma. The new Legacy is an undeniably superior choice for sedan shoppers who want an affordable yet well-equipped vehicle to purchase. Head to your local dealership in the Denver area today to see this sophisticated and intelligent vehicle in person and to take it for a test drive.